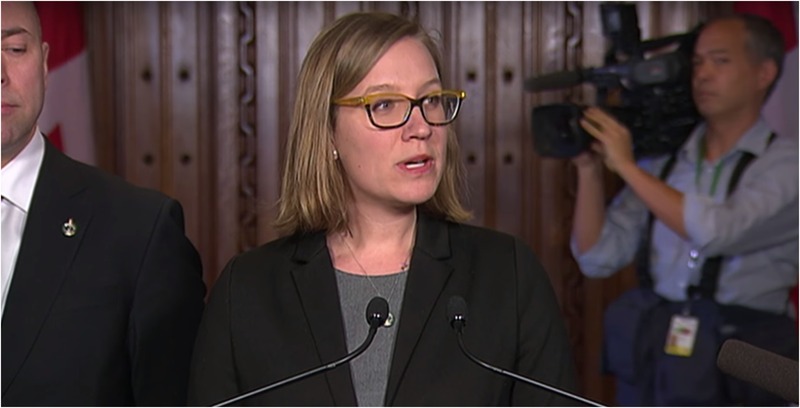 Democratic Institutions Minister Karina Gould unveils a list of priorities to help combat election interference during the upcoming 2019 Canadian federal election. She was joined by Public Safety Minister Ralph Goodale and National Defence Minister Harjit Sajjan at a press conference on January 30th, in Ottawa. Four points are outlined that the government is going to focus on: enhancing citizen preparedness, improving organizational readiness, combatting foreign interference and expecting social media platforms to act. “Our democracy is rooted in trust in the electoral process and the legitimacy of the outcome,” Gould said. “Canadians have a role to play in protecting the democratic process. I am confident that the measures announced today will enhance Canadians’ confidence in the electoral process, and that our government is prepared to address attempts by malicious actors to manipulate the system. She told reporters on January 29th that the government is preparing itself for any threats in the future. “We take all these threats very seriously. We’ve seen a number of countries around the world and as a government, we’re going to take a whole of government approach,” she said. As an example, the Cambridge Analytica scandal involves the firm that helped U.S. President Donald Trump win the 2016 presidential election campaign by harvesting data from millions of Facebook users. In Canada, 600,000 people were affected by the scandal.